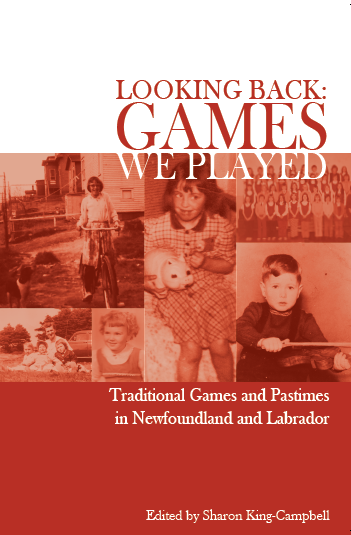 Memorial University’s Folklore department has teamed up with the Heritage Foundation of Newfoundland and Labrador to launch Looking Back; Games We Played, a booklet exploring the childhood games of Newfoundland’s past. Folklore graduate students spent the month of February with seniors at the MacMorran Community Centre to discuss the games they played as children, and to partake in a few of those games together. During the weekly gatherings at the community centre, the games remembered ranged from the classic Hide and Go Seek, to Cat’s Cradle, to sliding on pieces of wooden barrels or car bonnets in the winter months. Looking Back; Games We Played documents the interviews and memories of childhood play that the students collected. The booklet will launch at the MacMorran Community Centre at 10am on March 24th, 2015. Refreshments will be available and there will be games to be played! This project has been funded by the Government of Canada's New Horizons for Seniors Program.